To reduce your cost, Brandsport offers this item in Bulk (sold here individually). 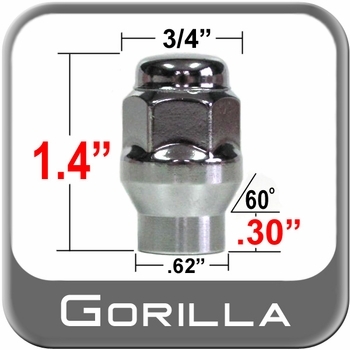 Gorilla also lists this same item in a 4-piece set as Display Package # 41127ET. 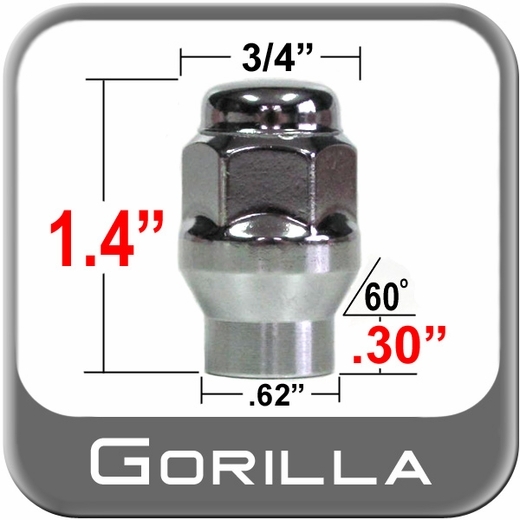 Never worry about normal wear and tear with a lustrous chrome finish that will last decades. .
All Gorilla chrome lug nuts are produced from superbly tempered steel. Precision surface seating for the closest correct fit and balanced wheel alignment . GREAT SERVICE AND GREAT PRICE AND EXPEDIENT. COMPETITIVE FOR YOUR BUSINESS. THANK YOU VERY MUCH. I WILL CALL AGAIN.